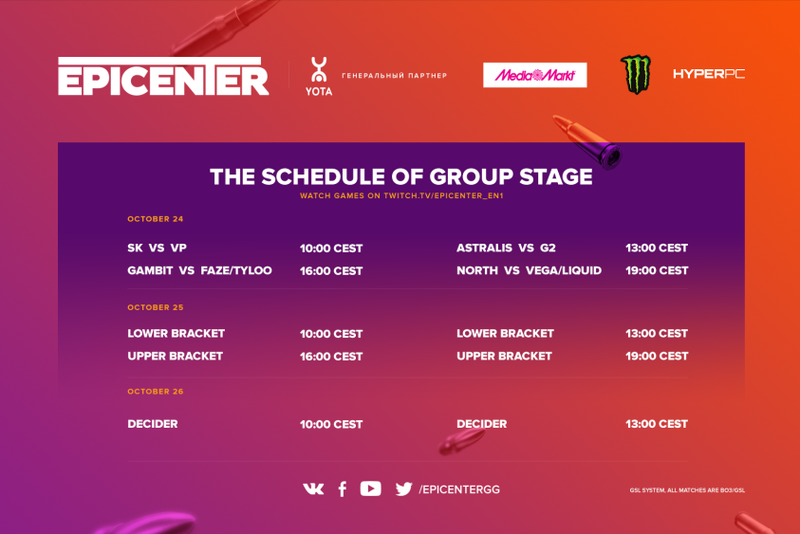 EPICENTER: Saint-Petersburg starts very soon, and we gladly bring you the schedule of group stage! Group stage matches will use the GSL best-of-3 system. The top two teams from each group will move on to the playoffs. Completing the groups of four will be the winners of the Wild Card matches, due to be played on October 23. Watch all the games on our channel!